Given the environmental concerns and declining availability of fossil fuels, as well as the growing population worldwide, it is essential to move toward a sustainable bioenergy-based economy. However, it is also imperative to address sustainability in the bioenergy industry in order to avoid depleting necessary biomass resources. Sustainable Bioenergy Production provides comprehensive knowledge and skills for the analysis and design of sustainable biomass production, bioenergy processing, and biorefinery systems for professionals in the bioenergy field. 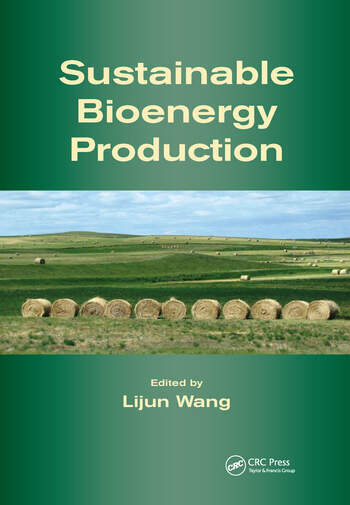 Focusing on topics vital to the sustainability of the bioenergy industry, this book is divided into four sections: Fundamentals of Engineering Analysis and Design of Bioenergy Production Systems, Sustainable Biomass Production and Supply Logistics, Sustainable Bioenergy Processing, and Sustainable Biorefinery Systems. Section I covers the fundamentals of genetic engineering, novel breeding, and cropping technologies applied in the development of energy crops. 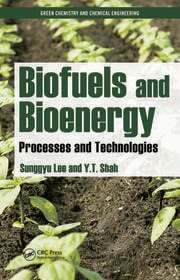 It discusses modern computational tools used in the design and analysis of bioenergy production systems and the life-cycle assessment for evaluating the environmental sustainability of biomass production and bioenergy processing technologies. Section II focuses on the technical and economic feasibility and environmental sustainability of various biomass feedstocks and emerging technologies to improve feedstock sustainability. Section III addresses the technical and economic feasibility and environmental sustainability of different bioenergy processing technologies and emerging technologies to improve the sustainability of each bioenergy process. Section IV discusses the design and analysis of biorefineries and different biorefinery systems, including lignocellulosic feedstock, whole-crop, and green biorefinery. Dr. Lijun Wang is an associate professor of biological engineering at North Carolina Agricultural and Technical State University, Greensboro. 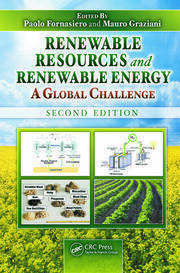 He has 20 years experience as a process engineer working in the fields of bioenergy and energy efficiency technologies. His current research interests are in bioenergy processing technologies, wastes-to-energy technologies, and computational process engineering. He has published 2 books and 17 book chapters, and over 55 peer-reviewed journal articles and has given more than 60 conference presentations. Dr. Wang is a licensed professional engineer in North Carolina and Nebraska and a certified energy manager with the Association of Energy Engineers.